Guanacaste National Park is a true natural treasure located in Costa Rica. The UNESCO declared its landscapes part of the world’s natural heritage. The park was created to protect the tropical forests of the area, in where one of the greatest natural phenomena takes place: the migration of lots of animal species that refuge there from the dry season (between january and march). These tropical forests are located between the hillsides of the Cacao Volcano and the Orosi Volcano, which are very beautiful and house to a large diversity of ecosystems. 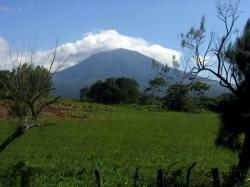 Guanacaste National Park is located in front of the largest national park of Guanacaste, Santa Rosa National Park. These two parks together form one of the largest biological reserves of the world. They occupy an area of 270 square miles, where lots of wild animal species coexist, among which the most outstanding ones are jaguars, monkeys, sloth bears, armadillos, and lots of bird species. Inside the park, there are four biological stations: Pitilla, Campo de Cacao, Pedregal, and Maritza, which are a scientific model among researchers, who take photographs to study them or just observe the wonders of this impressive park. One of the most visited biological stations by scientists, researchers, and tourists is Maritza, since this one houses geological samples from the Plio-Quaternary era. Undoubtedly, Guanacaste National Park is one of the natural settings that you should not miss on your trip to Costa Rica.